The oldest confirmed evidence of humans in Nicaragua dates back 8,000 years to a site close to Bluefields, on the Caribbean coast. By around 1,500 BC, the whole of what is now Nicaragua was settled. As the years went on, agriculture took over and the rise of mini-states become commonplace. Although Nicaragua was far south of the large Mayan and Aztec civilizations, they did not completely miss out on their influence. 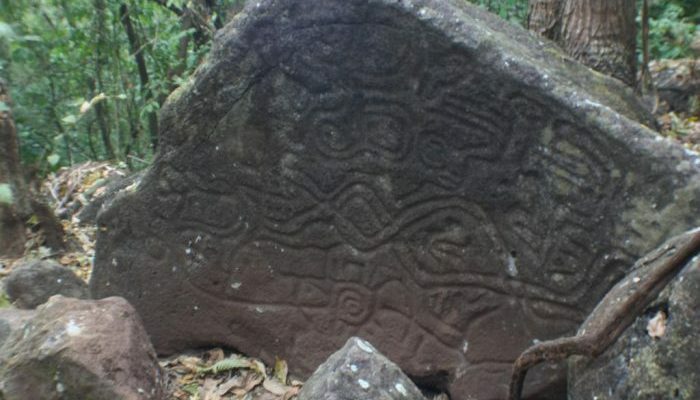 Aztec calendars and carvings of the Mayan god Quetzalcóatl have been discovered in Nicaragua. The Spanish also found tribes speaking dialects of the Mayan and Aztec languages. The first European to set eyes on what is now Nicaragua was Christopher Columbus on his final voyage in 1502. Sailing south from Honduras, Columbus got stuck in the mouth of the Rio Coco that today borders Nicaragua and Honduras. Local indigenous led his fleet to safety in canoes. There is no evidence that Columbus and his crew never came ashore in Nicaragua. 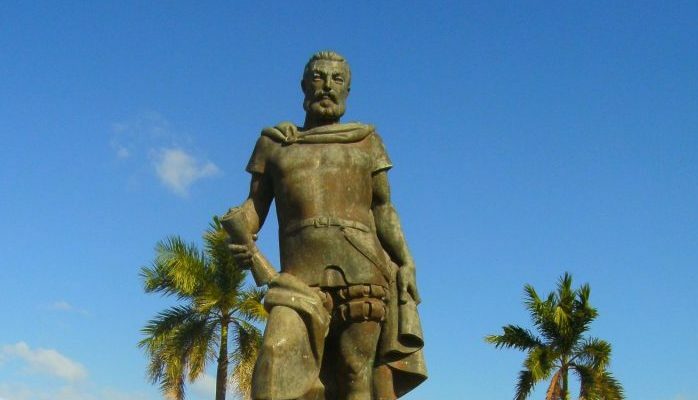 It was left to Gil Gonzalez Davila and his conquistadors traveling north from Panama in 1522 to actually set foot in Nicaragua and start conquering the country for the Spanish. Gonzalez Davila entered Nicaragua along the west coast, where the city of Rivas now stands. There he met a local cacique (chief) named Nicarao who welcomed Davila and his men with open arms. Davila repaid Nicarao’s hospitality by forcing the chief to convert to Christianity. The land known as Nicaragua was named after Nicarao, the word agua (water) tacked onto the end, in honor of the region’s many lakes and rivers. In 1523, Francisco Hernandez de Cordoba arrived in Nicaragua with a much larger force. Granada, founded by Cordoba, become the first European city in mainland America, shortly followed by Leon. The cities were part of Cordoba’s plan to consolidate his position in Nicaragua. Gonzalez Davila had claimed the territory as his own on account of arriving there first, and Cordoba wanted the glory. The governor of Panama, Pedro Arias Davila, for whom both Cordoba and Gonzalez Davila worked for, took Gonzalez Davila’s side. Cordoba was executed in the city of Leon. Archeologists discovered Cordoba’s tomb and his remains in Leon Viejo, the old, original city of Leon, in 2000. Aside from having the Nicaraguan currency named after him, a massive statue of Cordoba still stands on the lakeshore in Granada. He looks out across the water from the city that he founded. 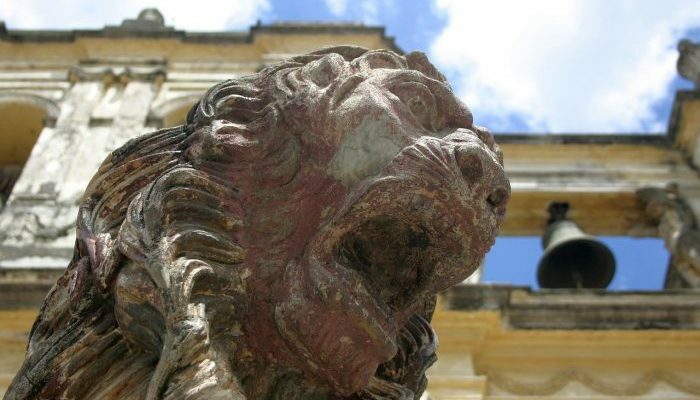 The 300 years between the 1520s and Nicaraguan independence were uneventful. The Spanish conquerors realized that Nicaragua wasn’t the wealthy land full of gold that they had hoped. With real riches being discovered up north in Mexico and down south in Peru, many left to seek their fortune elsewhere. The cities of Leon and Granada slipped into obscurity. The remaining Spaniards started to intermingle with the indigenous people. This created the mestizo (mixed indigenous/European) stock of people that make up the vast majority of Nicaraguans today. Colonial Granada always stayed quite wealthy, and as a result suffered from periodic attacks from pirates coming in from the lake. Cordoba’s original city of Leon was abandoned in 1610 after an earthquake. A new Leon was rebuilt a few miles to the west. Over the years a rivalry started to grow between the two cities. Leon was more liberal and academic and Granada more conservative and businesslike. This rivalry would characterize Nicaragua’s development and its politics after independence. The Spanish controlled the Pacific side of Nicaragua, but the Caribbean coast was different. Separated from the Spanish by the huge expanse of Lake Nicaragua and several thousand square miles of dense rainforest, this isolation allowed the British to stake their claim. They persuaded the Miskito tribes living on the Caribbean coast to join them and were able to move in and take control of the area, which they called the Mosquito Coast. It’s from here that British pirates were able to harass the city of Granada and other Spanish settlements. The British kept control of Nicaragua’s Caribbean coast until the late 1800s, well after Nicaragua became an independent country. Nicaragua was a province of the Captaincy General of Guatemala, which in itself was overseen by the Viceroyalty of New Spain or Mexico. The Viceroyalty ignored the Captaincy General for much of the time, seeing the whole area from Guatemala to Panama as a backwater. By the time that Mexico won independence from Spain in 1821, it did not take long for the old Captaincy General to see that Mexican rule would be no different to Spanish rule. Central America, which included Nicaragua, declared its independence. The United Provinces of Central America lasted only until 1837, after about fifteen years of weak, divided rule. The provinces claimed their own independence and by 1838 Nicaragua was in charge of its own destiny. Independence in Nicaragua was not smooth. As part of the Spanish Empire, tensions had been increasing between the cities of Leon and Granada for years. With independence came civil war, as each city had its own ideology and wanted to dominate. 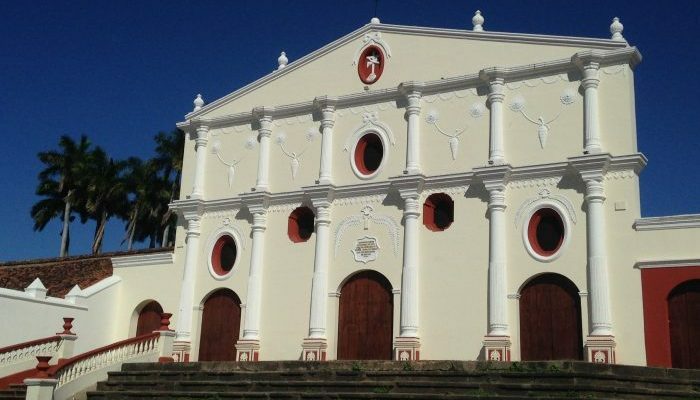 For the first 20-odd years of Nicaragua’s independence, the capital switched between Leon and Granada depending on which regime was in power – liberal or conservative. Tired of the constant fighting, a compromise was reached in 1852. 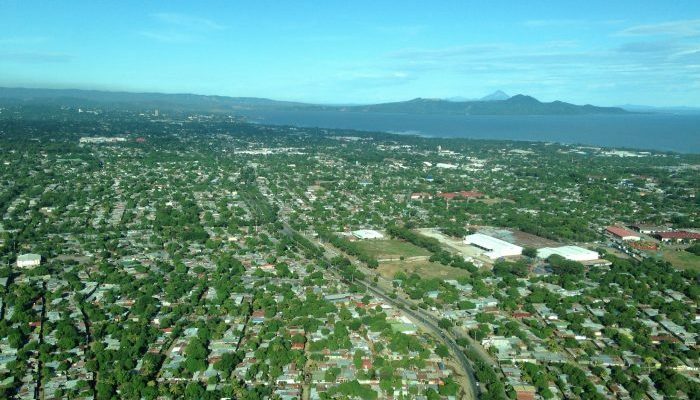 This compromise turned the fishing village of Managua, located on the shores of Lake Managua about halfway between Leon and Granada, into the new capital. 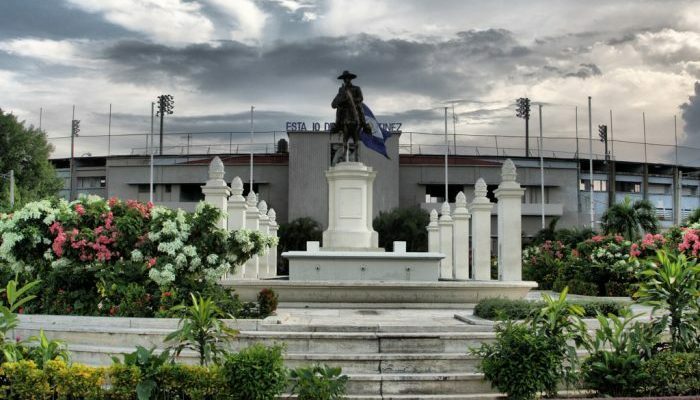 After a few years of building work, Managua finally took on the role of the nation’s capital in 1858, a role that it has not relinquished since. William Walker’s invasion of Nicaragua came during these turbulent early years. Walker, a US lawyer and journalist among other occupations, long had dreams of conquering parts of Latin America to set up slave colonies. Slavery was under attack in the US, and Walker was looking for new places to ally with the upcoming Confederacy. 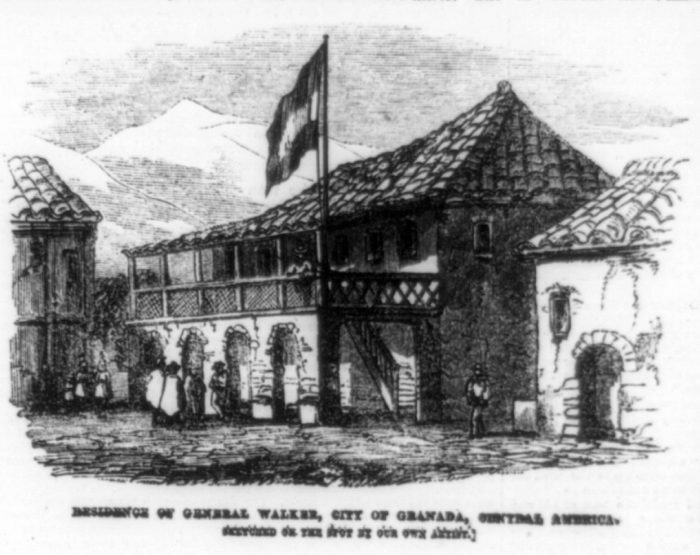 Walker and his private army arrived in Nicaragua at the invitation of Leon’s liberals who were at war with Granada. After beating Granada and burning the city to the ground, Walker double-crossed the liberals and installed himself as president. He legalized slavery and made English the official language of Nicaragua. By this time, the rest of Central America had turned on Walker, as well as the British and the United States. Walker was defeated in 1857 by a combined army of Nicaraguan loyalists and the Costa Rican army. Walker fled Nicaragua and was eventually executed in Honduras in 1860. During these years, Nicaragua was the main transit route for boats needing to get from one coast of the US to the other. The Rio San Juan and Lake Nicaragua route was considered the simplest way to cross the continent, with only a few miles of land to cross at Rivas between the lake and the Pacific. The 1840s and 1850s saw thousands of people cross from the East Coast of the US to California using this route. There was lots of talk about building a canal. American tycoon Cornelius Vanderbilt was given a contract by the Nicaraguan government to build a canal in 1849. But nothing ever came to fruition given the American Civil War and William Walker’s invasion. After Walker’s defeat, the US was never enthusiastic about the prospect of a Nicaraguan canal again. It cited instability and also the threat of earthquakes/volcanoes. By the beginning of the 20th century, Panama had become the favored spot for a canal. Walker’s defeat also became a defeat for the liberals in Leon who had invited him. Once Walker was gone, the Granada conservatives stayed in power for over 30 years. This was Nicaragua’s first real shot at peace and stability since independence. A series of coups in the 1890s soon brought turmoil back to the country. By 1909 the US had intervened as conservative rebels tried to topple President Jose Santos Zelaya, who had become anti-American. The warships that the US sent to Nicaragua marked the first action in a line of interventions made throughout the 20th century. The US occupied Nicaragua virtually nonstop between 1912 and 1933, “keeping the peace” between the warring conservatives and liberals and looking after their economic interests. During this period a young guerrilla named Augusto Sandino led a war against the conservative government and occupying US Marines. The US also trained a local Nicaraguan force called the National Guard to look after American interests after it left Nicaragua. The National Guard was key in the rise of the Somozas. Somoza became head of the National Guard and effectively ruled Nicaragua from 1927 onwards. By 1937 he took presidential power in a rigged election in what would become the longest dictatorship in Nicaragua’s history. The Somoza era spanned three different members of the Somoza family across two generations. A brutal ruler for almost two decades, Anastasio was assassinated in Leon in 1956 and his son, Luis Somoza Debayle, took over, followed by his other son Anastasio (Tachito) Somoza Debayle. All in all, the Somoza family ruled Nicaragua for over 40 years, both directly and also through the use of puppet presidents. Backed by the US for their anti-communist stance, the Somozas also made themselves wealthy by owning everything there was to own in Nicaragua. There was no industry that did not have a Somoza’s fingerprints all over it. The 1972 Managua earthquake was a wakeup call to Nicaragua. By now Tachito was in charge, and the blatant looting of the city, as well as the misappropriation of international aid and money sent to Nicaragua in the aftermath of the quake, shocked even the most cynical of observers. The FSLN (Frente Sandinista de Liberación Nacional) – named after Augusto César Sandino, the 1930s guerrilla leader who fought against the US – was formed in the 1950s as an activist group to oppose the Somozas. 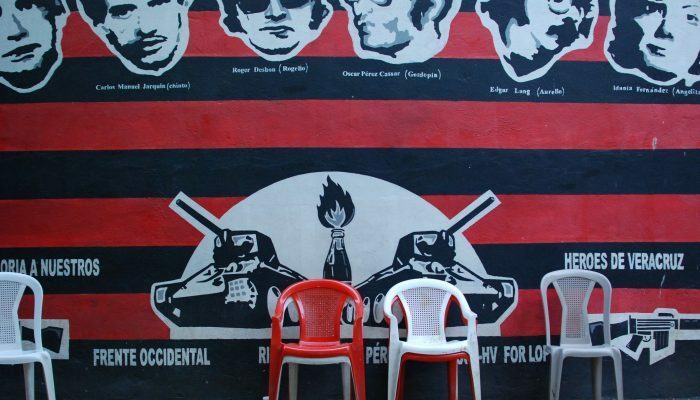 By the 1970s, in the aftermath of the earthquake, the FSLN exploded onto Nicaragua’s political scene as a fully-armed rebel group with the backing of a huge number of poor Nicaraguans. A final crackdown on civil liberties by Tachito Somoza in 1978 led to full on civil war, followed by Somoza’s resignation in 1979. The dictator fled to Paraguay where he was assassinated in 1980. The FSLN was victorious, although at great cost. The revolution killed approximately 50,000 people and the Nicaraguan economy was in ruins. With the FSLN in charge, the Somoza dictatorship might have been gone, but that didn’t mean democracy was going to return to Nicaragua. This didn’t matter at first, as the vast majority of Nicaraguan people were happy to be rid of over 40 years of the Somozas. The fact that the FSLN revolution was as undemocratic as the Somozas wasn’t as important as getting the economy back on track, raising literacy levels and providing healthcare and clean housing for all. Over the years though, the FSLN under Daniel Ortega became more authoritarian and less tolerant of those who didn’t share its ideology. What began as a shared junta between parties became a one-party Communist state. The drums of war began beating again as anti-Sandinistas (called Contras) gathered up arms and took to the jungles and the mountains. The Contra War of the 1980s is the war that gives Nicaragua its bad name. It’s the war that many watched on their TV screens as the US backed the Contras and provided covert support and arms. It was a war that Ronald Reagan, President of the United States at the time, fought without Congress’s knowledge. The war led to the Iran Contra Scandal, where the CIA sold arms to the Iranians and siphoned the profits off to the Contra rebel movement. It was a vicious and bloody war that spread into other Central American countries – most notably El Salvador. In the end, it was a stalemate. The Contras needed US aid, which they had stopped providing after Iran-Contra in 1987. For their part, the FSLN couldn’t afford to continue fighting either. Both sides were ready to sit down. An agreement, brokered by Costa Rican president Oscar Arias, brought peace to the region and won Arias a Nobel Prize. Part of the agreement involved the FSLN holding free and fair elections, which happened in 1990. FSLN President Daniel Ortega lost that election. The region breathed a sigh of relief as he stood down from power and let the first democratic government in decades take over in Nicaragua. The first post-FSLN president was Violeta Barrios de Chamorro, the first female head of state in Latin America. Since then, every five years, the election process in Nicaragua has been successful with a smooth turnover of power. 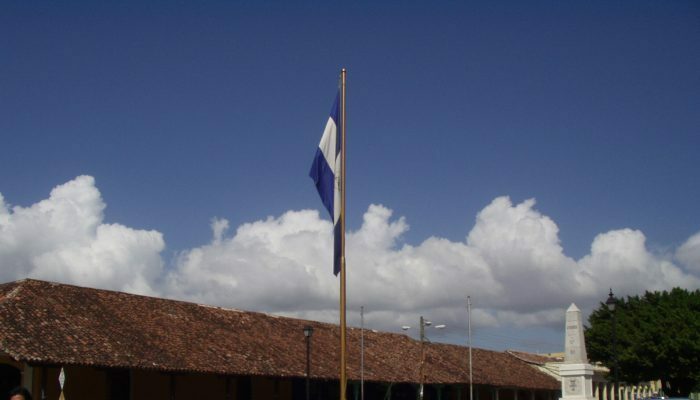 In 2007 Daniel Ortega and the FSLN were re-elected into power. The future looks uncertain as Ortega has changed the constitution to allow him to run for office continually and he’s still in power to this day.